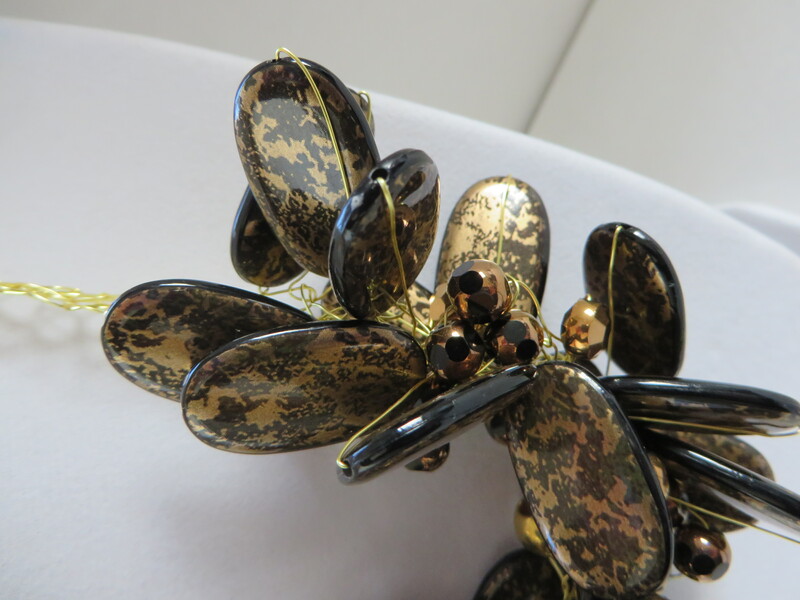 Add some flair with this necklace! 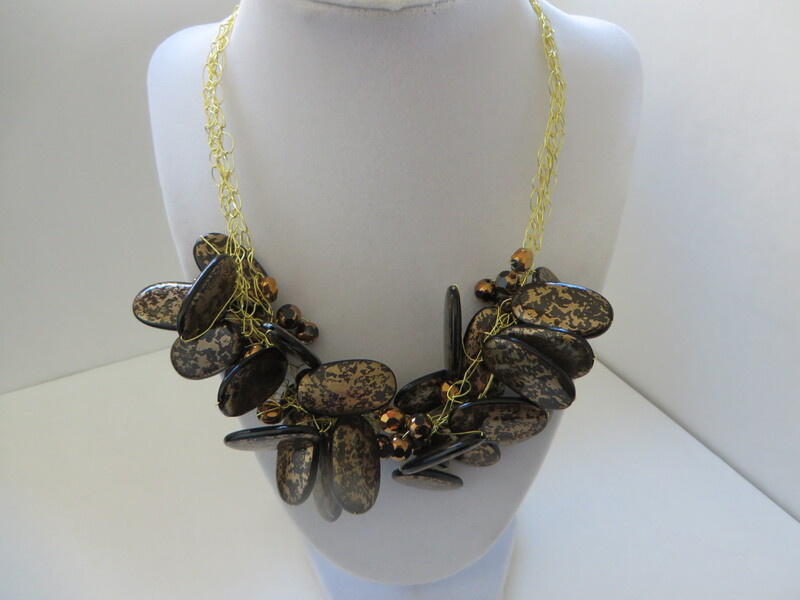 This necklace is 15 inches in length with a 3 inch extension and is constructed with multiple strands of crocheted 26 gauge gold tone wire. 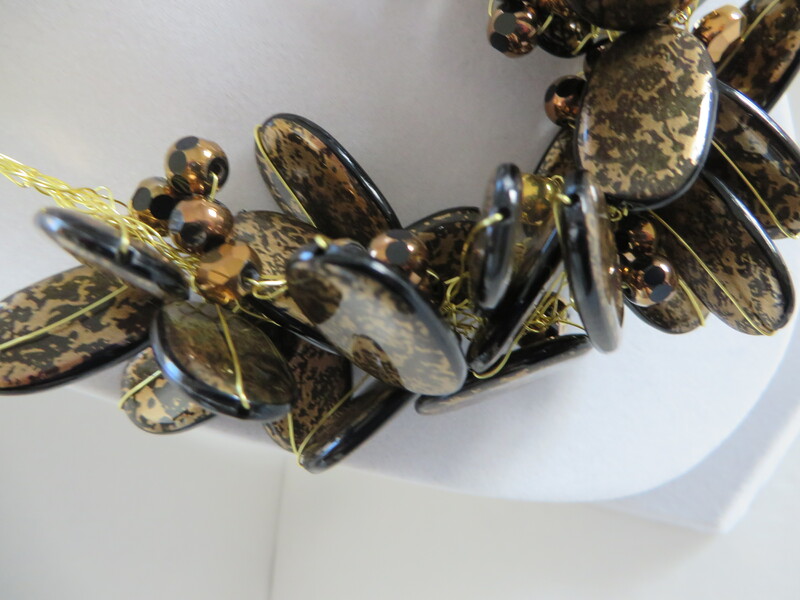 The necklace has brown and gold acrylic beads, small metal gold beads and copper and black glass beads. 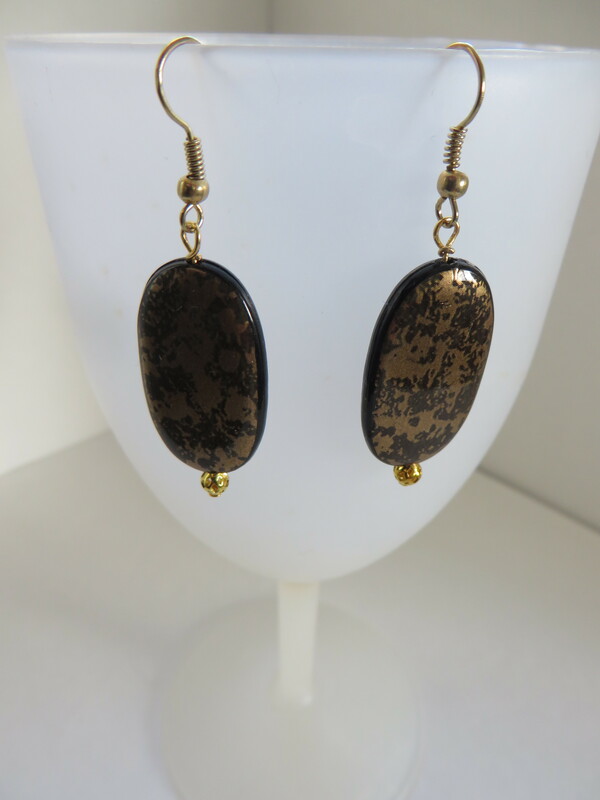 It is a very light weight necklace and is finished with a lobster clasp. 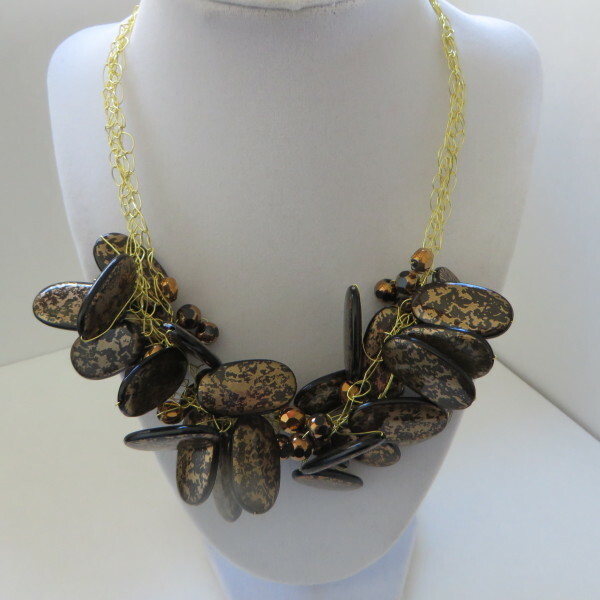 This necklace is one-of-a-kind and really a statement piece and will add flare to any outfit! !